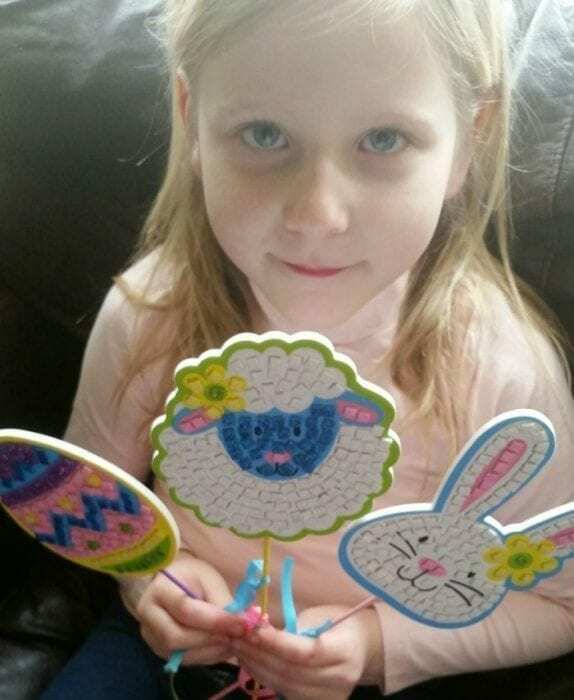 Crafting is definitely one of Liv’s favourite things to do – she loves to glue, cut, stick and colour in… so when we received a box filled with amazing Mother’s Day (15th March 2015) and Easter craft packs from Baker Ross, Liv was in her element! I first became aware of Baker Ross and their amazing art and craft supplies website at Christmas time when we reviewed for the Christmas Gift Guide and I can quite happily spent an afternoon browsing through all the wonderful craft packs for kids, all at very reasonable prices. Make sure you have a cuppa for when you browse, you may be on the site longer than you thought you would be! The box they recently sent contained everything Liv needed to make cute beaded keyrings and bag danglers for Mother’s Day. 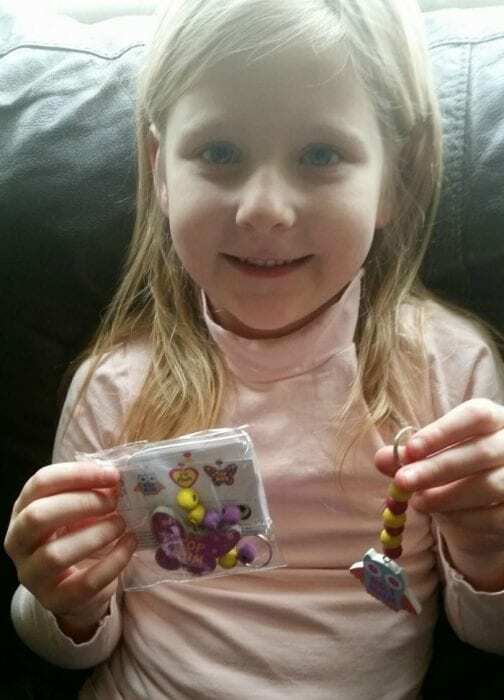 A pack of 4 assorted designs is £2.99 on the site and Liv had great fun making these with a friend – the instructions were easy to follow and I was only needed to tie knots in the string! The Easter Mosaic Wand Kits priced at £3.96 for 4 in the kit, are awesome! Simple to make, they followed the same concept as some of the Christmas crafts we made so Liv (being Liv) happily cracked on and again only needed my help for tying knots together, although I was able to make an Easter wand for myself! They are really colourful and sparkly, exactly what you would expect for Easter crafts and together they will look lovely in a vase. 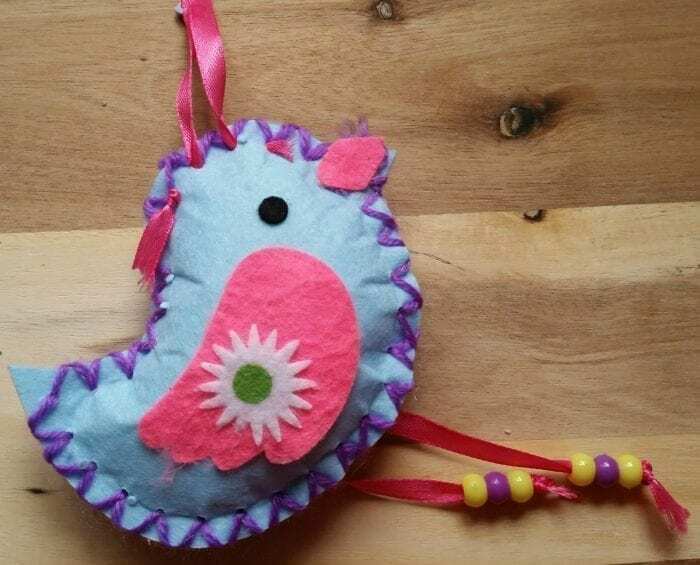 I love the fact the Baker Ross Craft kits always come with assorted designs, it makes them perfect to complete as a family activity or for Liv and her friends to craft together. Alongside general and themed kits are also craft essentials. 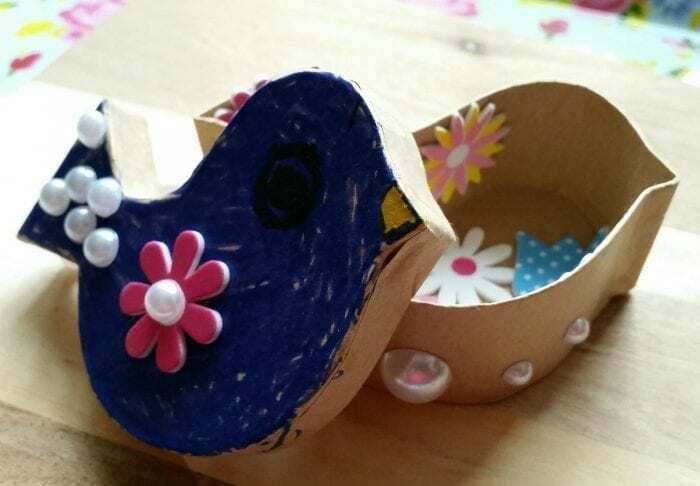 The duck shaped boxes (4 in a pack) are great to decorate from scratch and several of them have found themselves decorated in self adhesive pearls and flowers, just some of the craft accessories Baker Ross have to offer. By adding the coloured shredded Easter Grass, we are going to add little chocolates to the boxes, to eat at Easter and then add trinkets into the boxes afterwards! The site offers lots of inspiration, fundraising products, school supplies and basically… everything you could possibly need to make anything you can imagine! The packs are great as there really isn’t any mess from them at all… the kits contain everything you require and are mostly self adhesive based. They are so reasonably priced that it would be criminal not to buy a few packs… I am certainly going to be stocking up for Half Term holidays and rainy days…I just need to hide them from Liv! Baker Ross is awesome – so many crafts, all child friendly and easy for children to make! Oh WOW this looks like fun! All three of my babies are crafters, they would LOVE these kits. The kits from Baker Ross are awesome – everything you need is in them, they are even great to give as gifts! We received some goodies from Yellow Moon too – they have such great products don’t they. Some lovely ideas for spring here. 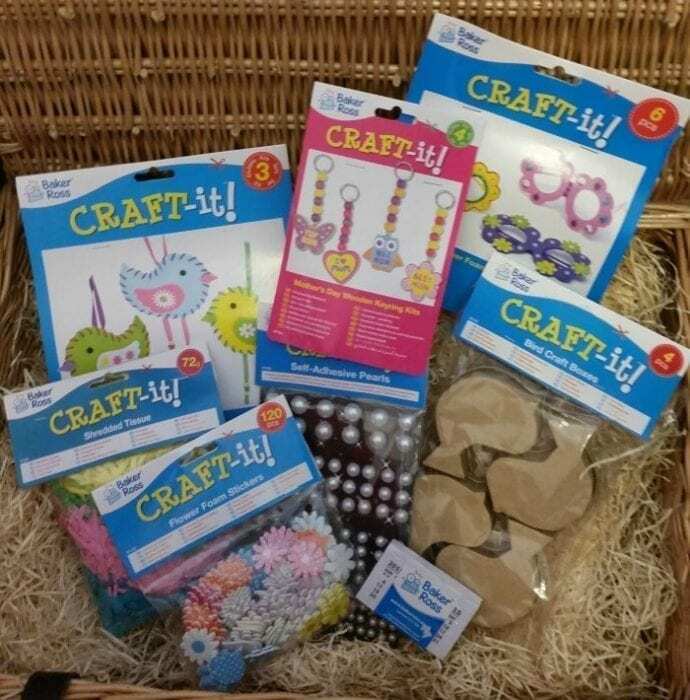 We love little craft kits as they are for play dates.Added you to the Brit Mums Spring carnival.